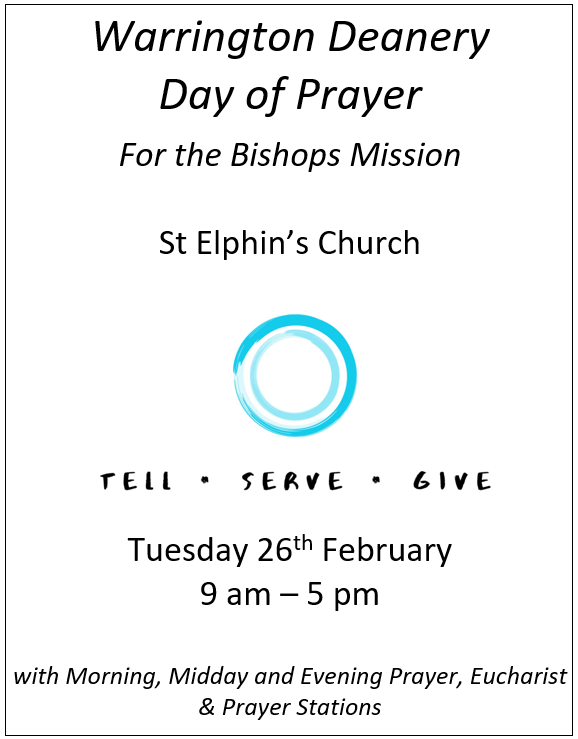 The Deanery Day of Prayer For The Bishops Mission, as announced at the last Deanery Synod, will take place at St. Elphin’s Church on 26th February. We will begin with Morning Prayer at 9 am and conclude with Evening Prayer at 5pm. There will be a celebration of the eucharist at 11 am. Throughout the day there will be opportunity for people to make use of prayer stations throughout the church and spend time in adoration before the Blessed Sacrament. The various options, as ever, are designed to encompass all churchmanships and traditions. At 5.30 pm there will be the opportunity to hear about Ashes to Go, a little of the background and how best to carry out this activity in the various parishes and locations.